Explanation: Some prefer windows, and these are the best available on board the International Space Station. 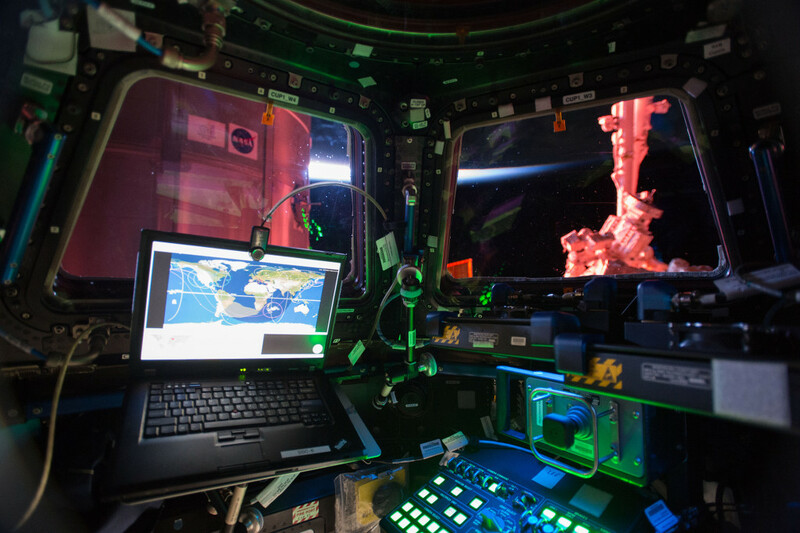 Taken on January 4, this snapshot from inside the station's large, seven-window Cupola module also shows off a workstation for controlling Canadarm2. Used to grapple visiting cargo vehicles and assist astronauts during spacewalks, the robotic arm is just outside the window at the right. The Cupola itself is attached to the Earth-facing or nadir port of the station's Tranquility module, offering dynamic panoramas of our fair planet. Seen from the station's 90 minute long, 400 kilometre high orbit, Earth's bright limb is in view above centre.